In a recent article in Public Health Reports, Dr. Elizabeth MacQuillan of Grand Valley State University and Drs. Amy Curtis, Kathleen Baker, and Rajib Paul of the Analysis and Mapping Center at Western Michigan University evaluated gestational diabetes mellitus (GDM) rates among maternal subgroups in Michigan using 2013 birth records and a combination of geographic information system (GIS) and statistical analyses. Data was obtained on regions of residence from birth records and maternal demographic and health-related characteristics. Birth data was geocoded, number of births to women with GDM was calculated, and logistic regression models were used to determine predictors of GDM. The authors successfully geocoded 95.6 percent of the births in Michigan. Of these births, 5 percent were to mothers diagnosed with GDM. The highest rate of GDM was found in the Southwest region of Michigan. The authors concluded that populations and geographic regions needing targeted maternal-child and public health interventions could be helped through use of birth data and GIS analyses. 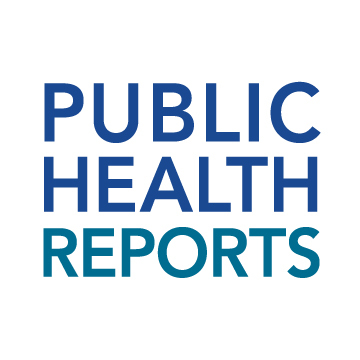 Public Health Reports (PHR) is the official journal of the Office of the U.S. Surgeon General and the U.S. Public Health Service and has been published since 1878. It is published bimonthly, plus supplement issues, through an official agreement with the Association of Schools and Programs of Public Health. PHR’s mission is to facilitate the movement of science into public health practice and policy to positively affect the health and wellness of the American public. Visit Public Health Reports for more information about the journal. February 1, 2019 "2019 ASPPH Annual Meeting: Skill-Building Workshops" February 8, 2019 "Don’t Miss the Opportunity to Register for the 2019 ASPPH Annual Meeting"